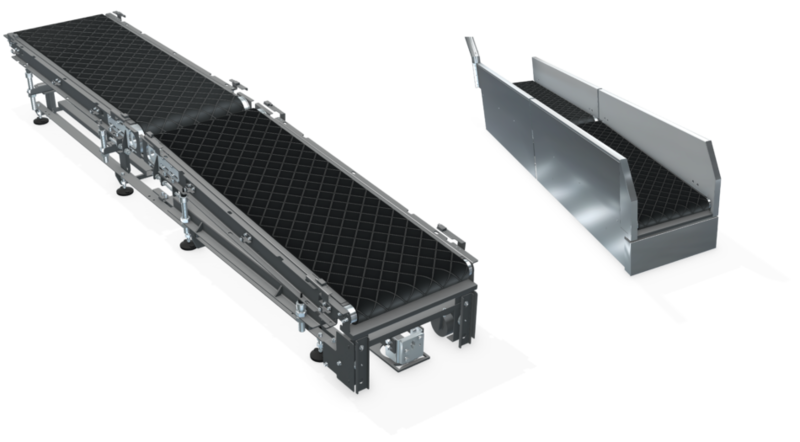 All conveyors meet ergonomic, environmental and functional standards ensuring user-friendly operation for both passengers and check-in personnel. The conveyor’s rail based design enables quick and easy access to the maintenance space in emergency situations, like a stuck passport or a ticket that fell inside. Additionally, we offer tilting devices which can be installed at the end of a dispatching conveyor to ensure a horizontal position of checked bags for further transport. The collecting conveyor is located behind the check-in and specialistic algorithms are implemented to maximize space distribution to assure the highest possible system throughput. All covers are made of stainless steel.